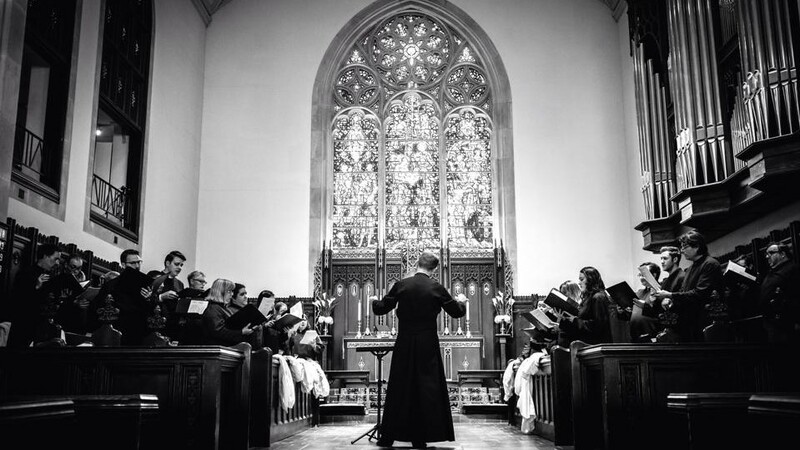 The Incarnation Choir, comprised of 10 professional singers and 30 volunteers, maintains a vigorous singing schedule, including more than 125 choral services per year, as well as concerts and special events. The choir’s repertoire spans nearly 1000 years, ranging from Gregorian chant to 21st-century music. Their discography includes seven compact discs, the latest of which is a recording of Lessons & Carols as broadcast on Public Radio International. During the parish’s centennial year, the choir commissioned and premiered compositions by Joel Martinson, Hans-Dieter Karras and Francis Jackson. The Incarnation Choir has toured extensively in the United Kingdom including residencies at St. George’s Chapel, Windsor, and Westminster Abbey. In the summer of 2014, they made their first tour to Washington D.C. and New York which included a week-long residency at Washington National Cathedral and services at St. Thomas, Fifth Avenue and the Cathedral of St. John the Divine. Those interested in auditioning for the choir are encouraged to contact Scott Dettra. Rehearsals are held on Wednesday evenings from 7 to 9:30 pm. Volunteer members are asked to sing two services each Sunday on a rotating schedule. Singing in the choir is a great ministry opportunity and a fun way to use your musical gifts and talents.